Home » Magazine » National » We Said It! Rajesh Ramachandran	March 16, 2018 00:00 IST We Said It! A weekly newsmagazine, for many, is an oxymoron. When the device in their pockets twitters every other second, why should they wait for a week (sure, 60x60x24x7 is a hell of a lot of time) for news to appear on the stands. The less nasty ones call the newsmagazine an anachronism. But we have, yet again, proven them wrong. 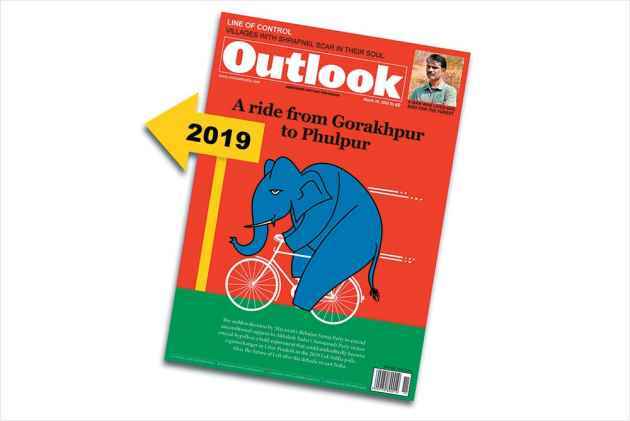 Last week around this time we told our readers that the biggest piece of political news wasn’t Tripura and that it was going to come from Uttar Pradesh, from Gorakhpur and Phulpur to be precise. The BSP’s unconditional support to the SP to fight the bypolls, announced at the very last moment, was our cover story. 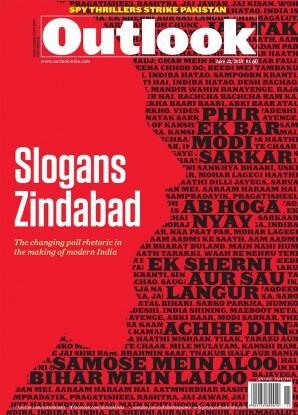 And now, a week later everybody is repea-tweeting what we said on the cover, that this political understanding is going to be a game­changer in 2019, if it remains intact. The next Lok Sabha polls are a year away. And that is a very long time in politics. Yet, it can be said even now in no uncertain terms that an SP-BSP alliance is a solid bloc of 40 per cent votes even at their worst. Anything above 40 per cent is a legitimate electo­ral wave and Uttar Pradesh chief minister Yogi Adityanath could not whip up one despite a campaign against criminals. Sure, criminals too have human rights and extra-judicial murders cannot be justified. But UP had become an impossible place to travel: women were getting raped and killed, and men were getting robbed and killed on expressways. The worst affected were the poor and the marginalised in the villages who had to live in dread of these criminals who often belonged to dominant castes. The only sign these dominant caste thugs could read was the smoking gun. Once Yogi’s crackdown began, many even started booking cells in jail. Yogi’s other notable intervention was in the cheating industry in school examinations. But these were obviously not enough even for the people of Gorakhpur. Their hospital was a mess; scores of children were dying. The promised good days weren’t here yet. And all the lynchings and floggings had their effect in a complete consolidation of Muslim and Dalit votes against the BJP. A consolidation visible in the Bihar bypolls as well. These bypoll results have a twofold message to offer. One, UP and Bihar, like Rajasthan, Madhya Pradesh and Gujarat, have slipped into anti-incumbency mode, with voters turning against their governments. They want the promise of good days to be delivered and right now. Hindutva in itself was never a winning formula for the BJP after the Babri Masjid demolition and without the promise of prosperity Hindutva is actually a liability. It can only help consolidate anti-BJP votes. So, unless the BJP rewires its campaign completely in UP and the rest of the Hindi heartland it could be in for a shock in 2019 as it had maximised its votes and seats in UP, Bihar, Madhya Pradesh, Haryana, Rajasthan, Gujarat, Chhattisgarh and Jharkhand—the so-called cow belt. The second message is for the Sangh parivar’s internal consumption. In an electoral democracy a candidate has to face two contests: first within and then without. Unless he or she emerges successful within, no candidate gets an opportunity to lead a party in a constituency, state assembly or Parliament. There was talk of Yogi rep­lacing Modi, just talk, and that has got discarded conclusively after these results. All these bypolls in MP, Rajasthan and UP have proved that the BJP, so far, doesn’t have another candidate to lead the party in 2019.